This weekend, what better way to register for the ride than with some free BBQ? 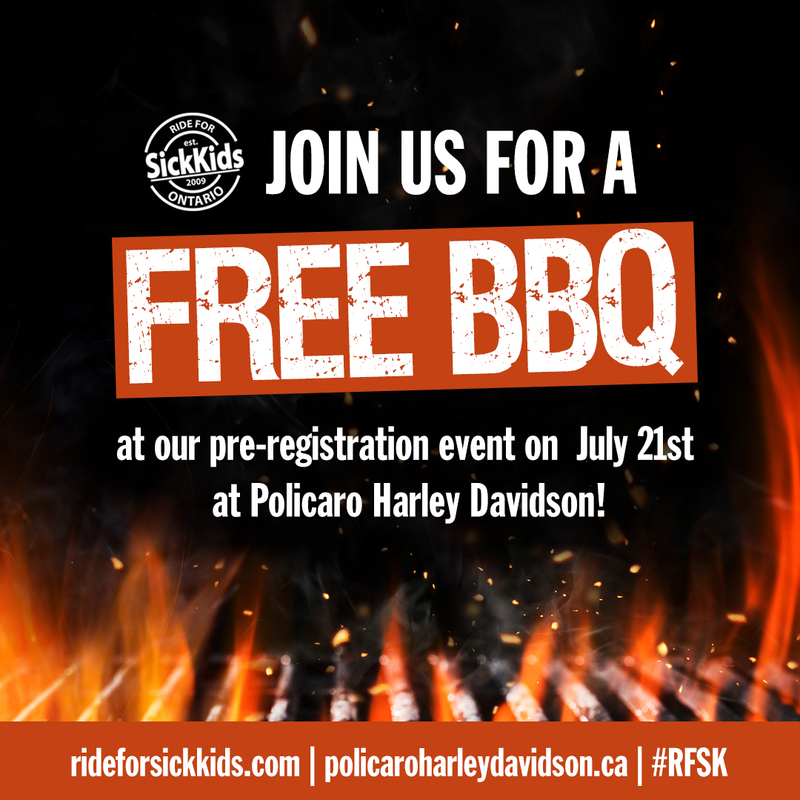 Join us at Policaro Harley Davidson for some free BBQ goodness from 12pm to 2pm and to sign yourself up for the ride! This weekend we’ll also be at the Wasaga Beach Rally. Come by and say hello and register for the ride!